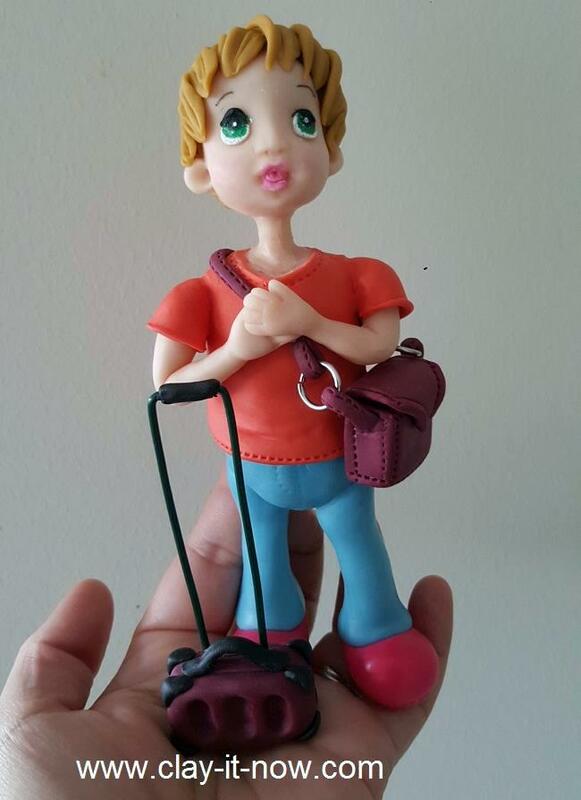 This boy figurine idea came to me when one boy shout loudly, "I am a traveler". When I look at him, OMG he carried heavy sling bag on his shoulder and dragging old type of hard case suitcase excitingly walking in the airport following his parents. 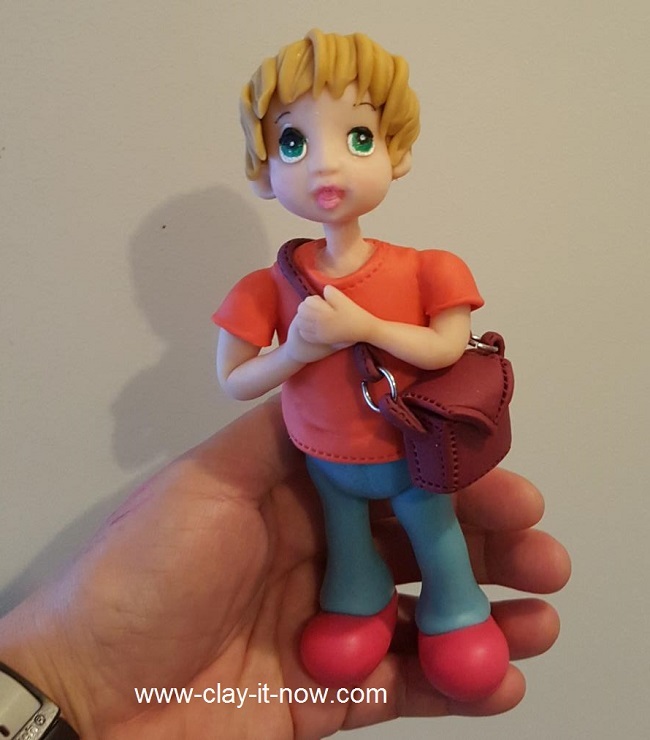 Homemade clay like cold porcelain clay is ideal to make figurine like this. But we use our own version of homemade clay that slightly different with cold porcelain because we don't cook the clay and we use wheat flour instead of corn flour. You can also use store bought clay. Check out our "what clay to buy" page if you are new to clay craft. I've made the figurine from the shoes up to the head. So, first of all, you can roll your clay (I use red colour clay for shoes) to a ball shape and then change it to egg shape. Press it lightly especially at smaller end where we will add the leg. Insert the shoes (separate left and right) to skewer until it pass through the shoes about 1 inch and stick the skewer with shoes to polystyrene foam sheet. Roll your clay (I use blue clay) to pipe shape at about 2 inches, use your clay tool to push the bottom part and widen it a little bit. Slide the leg to top of skewer until it sit nicely on top of the shoes. You can make 1 piece body part or make the bottom and the torso separate. Because my blue clay is not enough, I make two pieces body part :). Start sculpting the face. I use small polystyrene foam for the head. When the face dry, you can draw the eyes. Create expression for the face to make the boy looks lively. 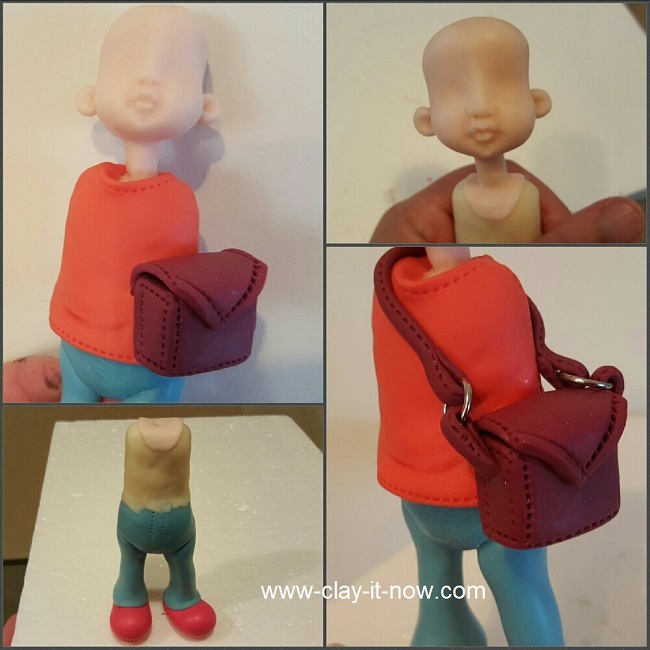 I use orange clay for the boy shirt. Sculpt the sling bag and use small jewelry finding/ ring for the sling. It's cute isn't it? Make the arms with short sleeve and paste it to the side of the shirt. Finally I make small hard case suitcase with plastic coated wire for the handle. 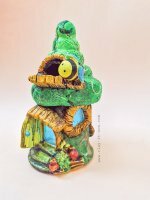 Hope you like our boy figurine idea and our process to make this.